Jacksonville Museum #3-U.S. Hotel | Historic Jacksonville, Inc. Soon after its 1925 formal opening, the 1-room Jacksonville museum in the Brunner Building operated by the Native Daughters of Jacksonville was deemed inadequate. 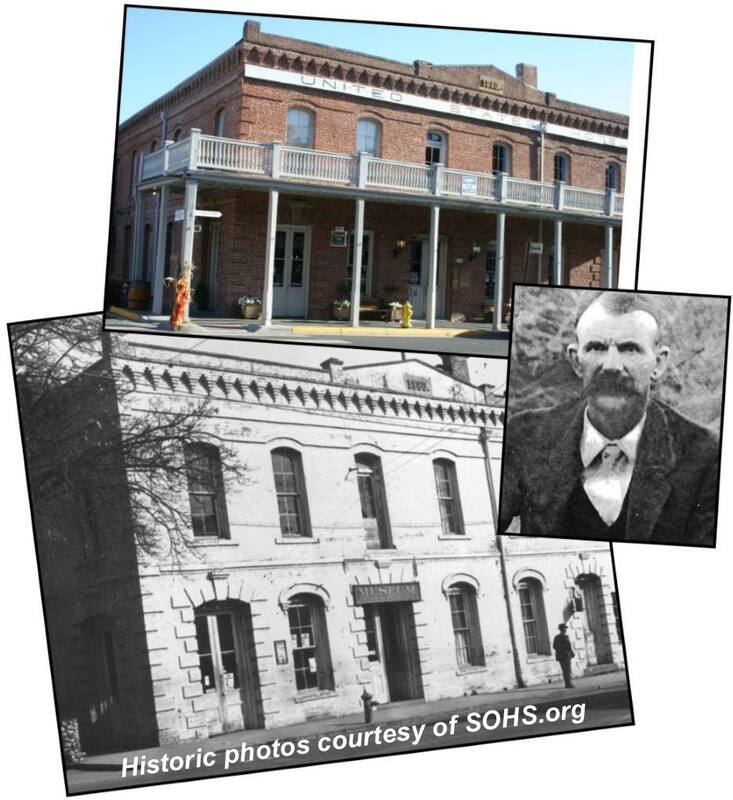 More space was needed and as early as 1928 the Chamber of Commerce and City Council petitioned Jackson County for money to establish a museum in the U.S. Hotel on California Street. The County “took it under advisement.” In the 1930s, “a treasure house of junk and a handful of historical artifacts” was set up in what is now the Bella Union. The “Cabinet of Curiosities” from the old Table Rock Saloon was added to the collection along with other items from “historical minded folks.” Then local antique dealer Frank Zell stepped in. He had both a valuable collection of his own and an eye for history. But when crowded exhibits threatened to crash through the floor to the cellar below, Zell asked the City Council to move the museum to the U.S. Hotel—a goal embraced by local folk for over 10 years. The Council approved the move; the collection was transferred to the U.S. Hotel; and the U.S. Hotel became the Jacksonville Museum. Visitors sometimes contributed a quarter to the kitty, and Jacksonville acquired its first tourist attraction.